"ride with the best or idle with the rest"
Happy 2015 from Xtreme H2o. Come fly with Destin's premiere water sports company... Xtreme h2o Sports located in Destin, Florida. Xtreme h2o Sports uses the latest in Parasailing Technology and our CWS boats exceed Coast Guard safety regulations. Our equipment is always new and checked daily by our USCG Certified Captains to help ensure you enjoy and have an unforgettable experience. We offer single, double & triple parasailing rides. We also have available photo packages, doplhin tours, pontoon boat rentals and waverunner rentals. Xtreme h2o offers private charters for weddings, birthdays, and other special occassions. No request is to small as we want to make your experience special & memorable. 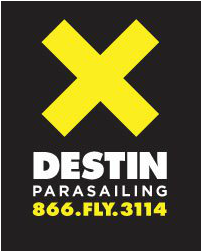 See what others are saying on TripAdvisor.com about the best Parasail Company in Destin! 7 days a week weather permitting. Flights depart every hour between 8am and 6:30 pm. 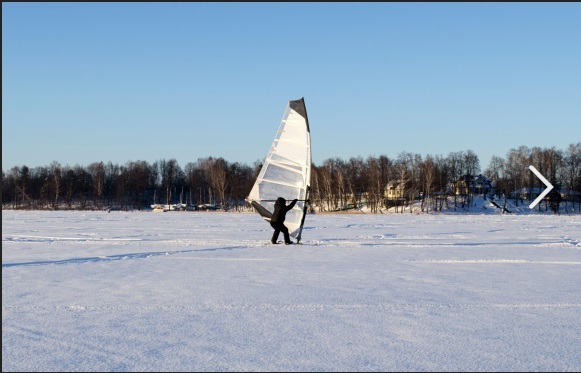 Ice Surfing - Why not?